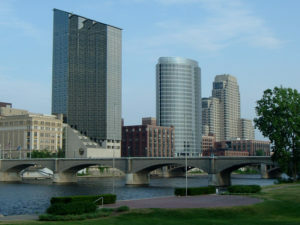 Downtown Grand Rapids, Michigan, home of the American Arkology Society’s headquarters. The American Arkology Society is the United States’ oldest organization dedicated to promoting scholarship of the enigmatic “Ark” artifacts that first surfaced in 1971. Headquartered in Grand Rapids, Michigan, the AAS has nearly 11,000 members and more than 45 local societies across the US and Canada. The AAS’s members include academics, futurists, professional archaeologists, students, and enthusiasts, all of whom are driven by a desire to understand and interpret the meaning and potential portents of the Arks. 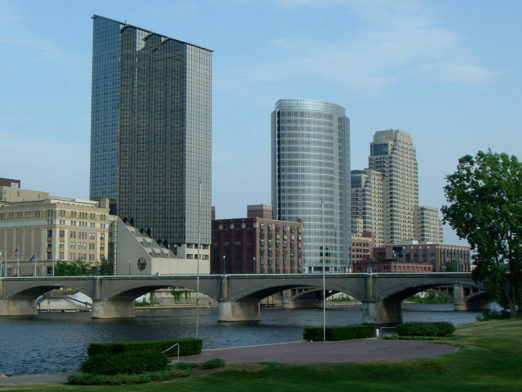 Led by a staff of 25 full- and part-time employees, the AAS maintains offices in Minneapolis and Philadelphia in addition to its Grand Rapids headquarters. A Board of Trustees governs the Society and represents the AAS’s members and local societies.